Aaall States Auto Transport Inc. is known for providing "small town service on a national level." As car shipping and auto transport "specialists," they have been operating since 2004. 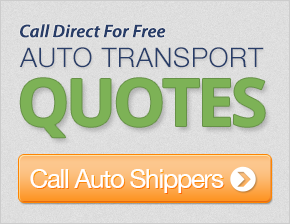 Their car shipping services focus on people with a variety of auto shipping needs. Car moves provided by Aaall States Auto Transport are used by people buying cars online, moving to a new state or even country, going off to college, moving to a summer or winter home, and by car dealers. Dealers, in particular, are targeted as potential customers, who may need their vehicles transported to and from auctions, for trades between dealerships, and to out of town customers. Open and enclosed trailers available for transport. Shipping options for non-running vehicles. Able to transport specialty vehicles, including motorcycles, classic cars, boats, travel trailers and RVs. Nationwide shipping includes both Hawaii and Alaska. Unlike some other auto transport companies, Aaall States Auto Transport does not require a deposit until your vehicle is picked up. However, the company does need a credit card to secure an order, though it is not charged until your vehicle has shipped. They also do not use terminals to speed up shipment times. Thanks to Aaall States Auto Transport and their dedication to providing excellent service, they get up to 500 requests for quotes a day, making them a very successful business in the auto shipping industry. The employee I spoke with was great. He called immediately after he got my message. He answered all my questions and guided me to a website that was not sponsored by your company that compared all of the carriers via personal posts. Most (not all) were positive and in the normal course of business that was a good reference. He was especially knowledgeable and helpful in helping me compare your company to the competition when it came to insurance and the fact that you folks have no deductible and others do, or they broker the coverage. Overall, a very good service and exactly what I paid for! I had an order placed with another company for a little over 3 weeks before I called you guys. This company could not tell me anything about when they would be picking up my vehicle let alone give me a time frame as to when it would be dropped off. You guys were very helpful. He was able to answer any questions that I had, where the other company could not. My vehicle was even picked up 2 days before the time frame that he gave me and the delivery was very quick. I would not have a problem recommending you to anyone. Great deal. I was quoted a price well below any other quote. The car was picked up the next morning and arrived in San Diego 5 days later. I can only sum it up in one word - AWESOME. Very responsive and I believe very customer oriented. Thank you and I hope the car arrives as scheduled. I was very impressed with the way you handled our situation. It was at a very stressful time for us and we got great help. Nice to find a company and staff that is as helpful and pleasant as yours. Thank you! My agent was awesome and my entire experience was too. Thanks! Nice job. Thanks for all your help. The driver was excellent. Hope we can use him on this next move. Excellent service. I got my car picked up and delivered in the promised time. THe driver was very helpful and courteous. Thanks much! Everything was great, but when the car was dropped off, the driver called at 10pm to say he was almost there. I thought this was a little late. Other than that, everything was great. Thanks. I was pleased with the price and service. The two people I dealt with were very nice to work with and made this adventure very easy. Thanks to you and all of your staff. Excellent service. I own a moving and storage company and will be using this company again. Thank you. Fast shipment and good workk overall. The carrier was great. He called twice to tell me where he was and when he would arrive with my car in Florida. The dispatcher was also very patient with my numerous questions. Thanks. I was not sure about shipping my car with this company. However, I put my trust with this brokers company and was NOT disatisfied. My daughter's car was picked up and deliveried as promised. The driver was the friendliest guy. He was very respectful in keeping me updated on his arrival, as well as the delivery of the vehicle. Wonderful. What I was quoted was exactly what I received. No surprises. Just great professional service, even though I probably drove him crazy changing the delivery date. I had to re-schedule a couple of times for shipment and everyone was so helpful and patient. A big thank you. I am glad to did business with you. I was provided a great service. My car was picked up exactly as promised. It was delivered on time with no damages. The delivery was very timely and the driver did a good job overall.